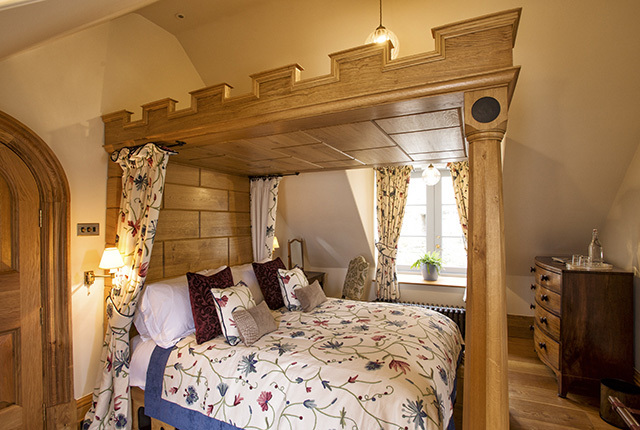 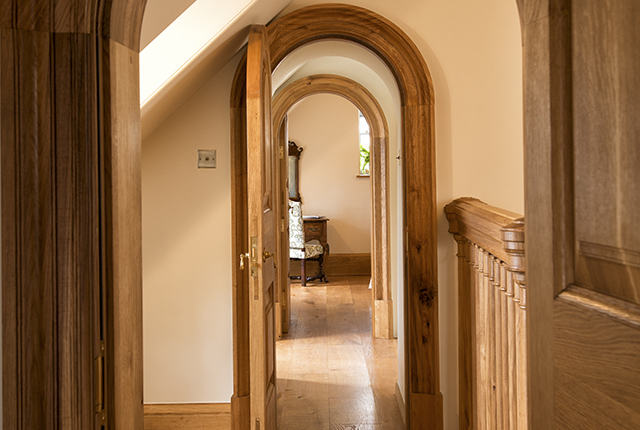 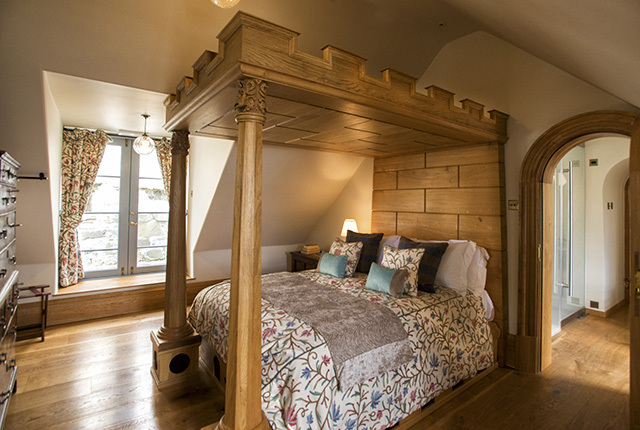 Climb our hand-carved staircase to the Castle’s third floor and you’ll find our McCain suite, ideal for family and friends. 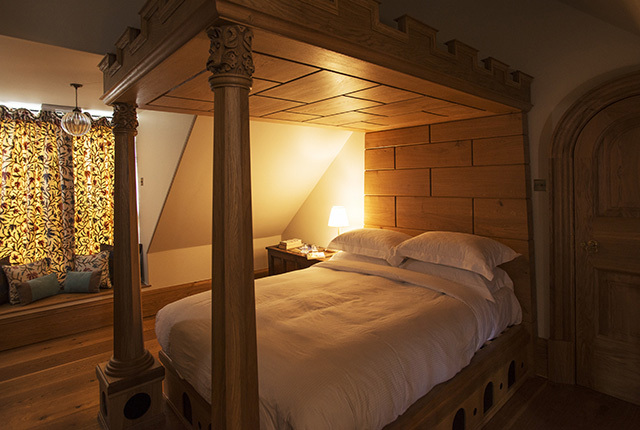 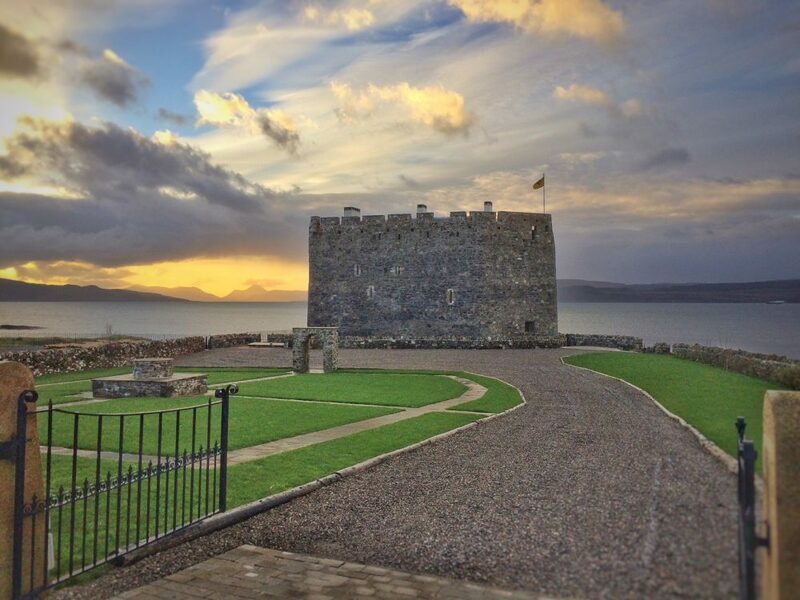 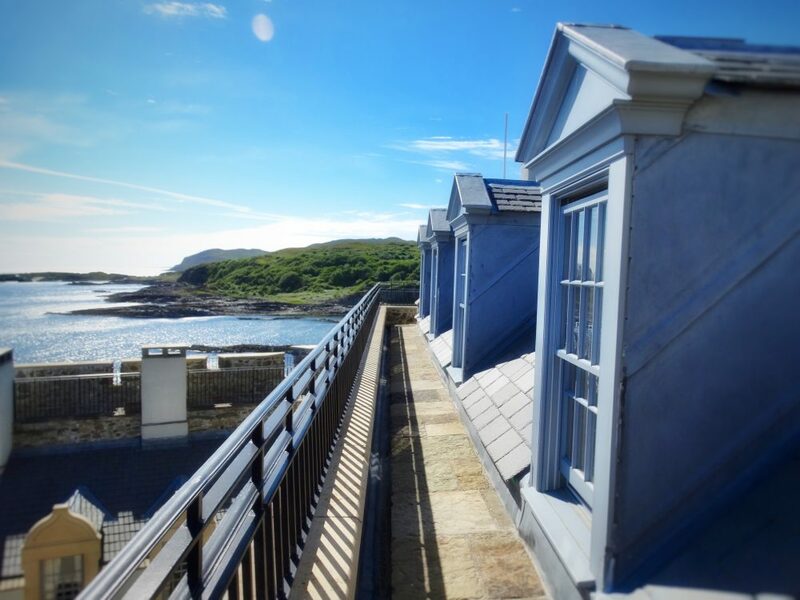 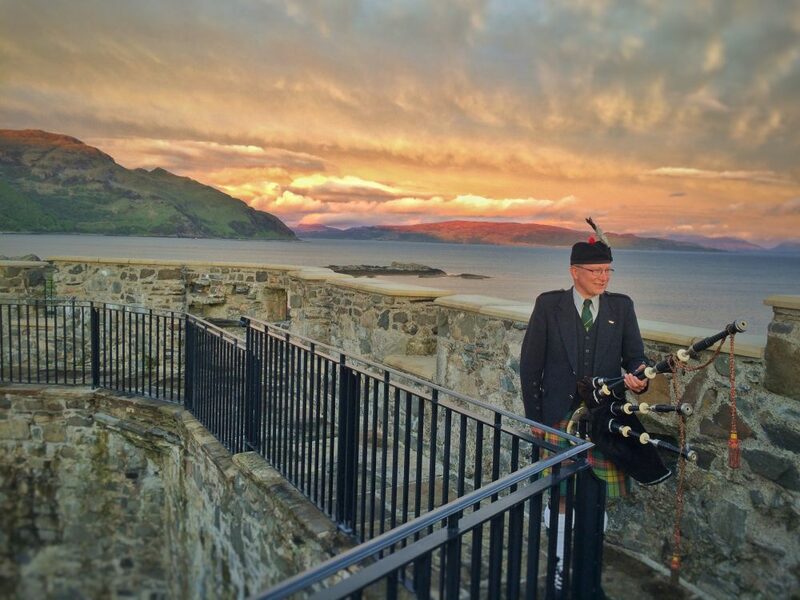 Consisting of two rooms, both with king size oak four poster beds, you can take in the stunning views out over the Sound of Mull towards Tobermory either from behind the sash windows or out on your own private terrace. 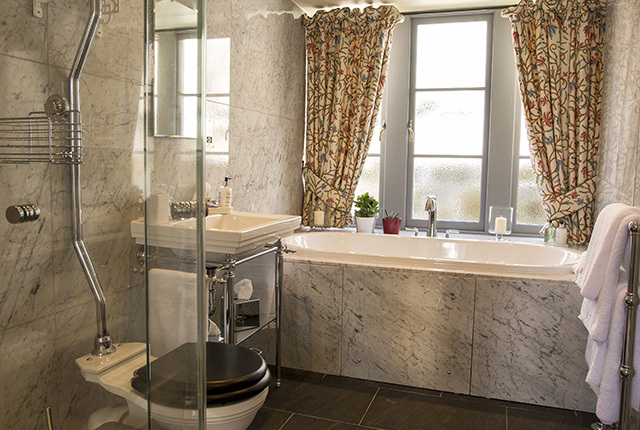 Lined with Italian marble, the family bathroom features a freestanding shower enclosure and bath for two with windows that make for the perfect stargazing spot.